BAM Outdoor landscape contractor in Carmel, IN is the premier landscape design company to take your dreams for your yard and make them a reality. Whether it’s a fire pit for your backyard, landscape design plan for your new home or refurbishing the greenery around your business, BAM Outdoor is the landscape contractor that can do it all. Our experienced team has a keen eye for outdoor aesthetics, while also balancing the functionality of our landscape architecture designs. We work with you every step of the way to ensure we are harnessing your ideas and making efficient use of your budget. When it comes to landscape design, bigger isn’t always better. Our locally owned and operated landscape firm can handle projects of any scope. Best of all, our certified technicians are renowned for offering unparalleled levels of craftsmanship and keen attention to detail. Whether you’re looking to expand your yard or create a paved patio retreat, we’ve got you covered. Don’t wait another day to secure the quality landscaping and outdoor services you deserve! With years of experience in the industry, our friendly staff provides custom service in a prompt and affordable manner. Request an estimate via email at info@bamoutdoorinc.com or call 317-896-1414. 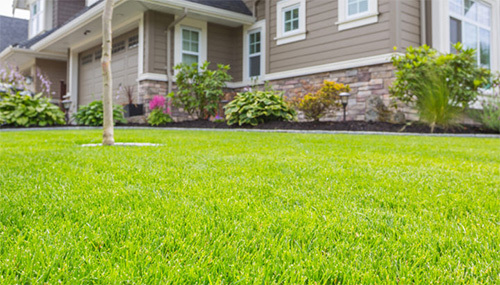 Lawn care and lawn fertilization are crucial to having a thriving well-manicured lawn in the Carmel, IN area. The correct lawn care fertilizer and herbicide (if necessary) can be confusing and complicated to figure out, employing a professional for lawn fertilization or a weed control service company can save you money and heartache in the long run. Our experts at BAM Outdoor have been trained to understand issues like insect damage, turf disease, and more. We provide a unique 6-step fertilization program designed to enhance the overall look and strengthen the underlying root system of your lawn. The on-going analysis allows us to customize a plan that’s right for you. Today’s lawn soil does not contain enough nutrients for healthy growth. Without proper lawn care fertilizer, turf grasses may be less vigorous and colorful and may not grow as well. It’s important to not just fertilize but to employ fertilizing lawn care knowledge and best practices for the most effective results. 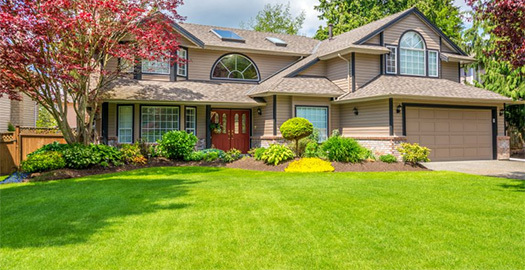 A thriving, well-manicured lawn can change the entire look of your home or commercial property. Eliminate the guesswork and turn to our knowledgeable staff for help. Adding a retaining wall to the landscape of your Carmel, IN home adds a majestic charm to your property that is hard to match. In addition to adding visual interest, retaining walls are often used to control erosion, manage runoff, or create level spaces for patios, gardens, or structures. Retaining walls can be used to literally sculpt the landscape and transform unusable hills into outdoor living spaces. They can be used to create a garden around your home, create a level area for playing or entertaining, or form the basis for other features such as a new patio or a water feature. At BAM Outdoor we can handle all of your retaining wall needs, whether you’re looking for a segmental retaining wall, terraced retaining wall, or something different. There are a wide variety of options for materials and designs when it comes to retaining walls, and our experienced professionals at BAM Outdoor will work with you to choose the perfect ones for your property. Some of our most common materials for retaining walls are concrete block, timber, boulder, and flagstone. Not everyone understands how to plan or build a retaining wall correctly. Mistakes in design or construction of retaining walls can create serious headaches (particularly water problems) for you or your neighbors. Our team has over 100 years combined experience and brings superior landscaping expertise to every project, often solving problems in advance that competitors don’t foresee. If your Carmel, IN home needs a retaining wall or repair of an existing retaining wall structure, call us for a free estimate at 317-896-1414.